To have and to hold, in case you get cold! 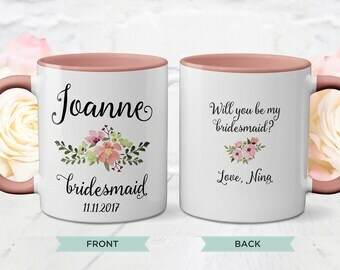 Great bridesmaid gifts or wedding favors! 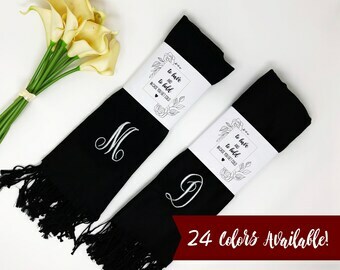 Personalize it with the couple's initials and wedding date for a great wedding shawl that guests can use at the wedding. 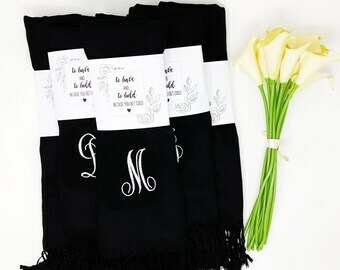 These personalized pashmina shawls / wraps are great bridesmaid gifts or wedding gift for the bride! 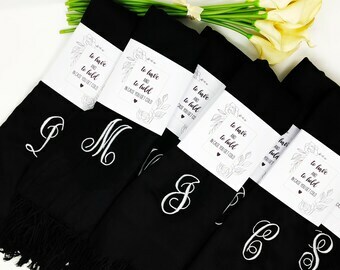 The bridal party can wear it as a cover up or give it to guests as souvenirs. Perfect for fall or winter weddings! Choose a color to complement the bridesmaid dresses, the wrap cover-ups are an elegant way to complete your bridesmaids’ attire while keeping them warm and comfortable. 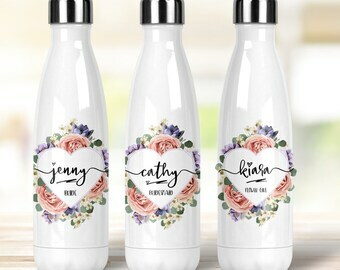 Something that the bride, bridesmaids, mother of the groom, mother of the bride, flower girls and guests can use way after the wedding. 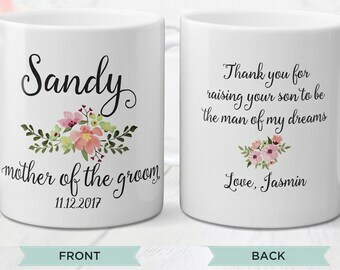 Personalize it with the couple's initial, recipient's name, first initial or monogram for a classy, thoughtful, one of a kind gift. This pashmina shawl is super soft and cozy and the fabric feels like cashmere. 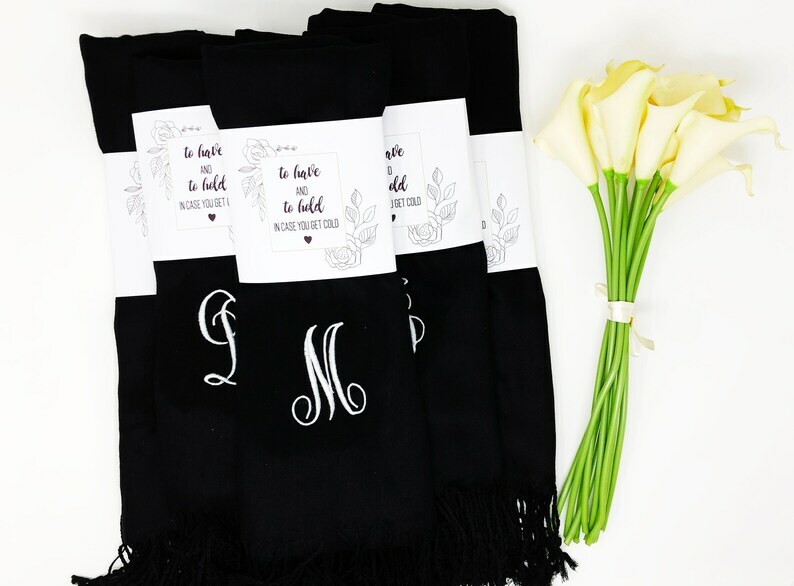 Perfect for fall and cold winter weather, it can be used as a wrap or as a long scarf to use every day or to stylishly dress up any outfit on formal occasions like wedding , holiday parties or dinner dates. Great as a shawl, head wrap, stole, blanket or light cover. WOW!!! These robes are truly beautiful in person. They are shipped with loving care in neat a neat roll packaged in cellophane - hardly a wrinkle! The embroidery is large and looks fantastic. I also appreciated the sizing options - the size small fits adorably and hits just below the elbow, perfect for my June wedding. I cannot wait to give these to my girls!!! 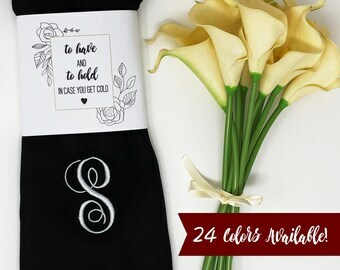 I would recommend this shop and this product to future brides! Good workmanship, quick turn-around. Highly recommended! My girls love it!